What’s more, clinical laboratory technology has changed dramatically in the past few years, with groundbreaking innovations in gene editing, next generation sequencing, microbiome research, and direct-to-consumer testing. The IVD market is competitive, with both established players and nimble up-and-comers vying for market share. Kalorama Information, a leading healthcare market research firm, profiles dozens of in vitro diagnostic companies in the much-anticipated 11th edition of The Worldwide Market for In Vitro Diagnostic (IVD) Tests. Here’s a quick rundown of 12 of the leading IVD companies featured in the report. Abbot Diagnostics maintains a core focus area of infectious disease testing, with a significant portion of sales generated in the European Union, emerging markets, and the U.S. The company is preparing for the future with the development of next generation systems, informatics to help labs manage and retrieve test data, new infectious disease diagnostics, and gene-based oncology tests for targeted therapeutics. 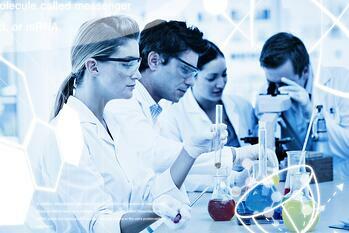 Roche Diagnostics is the world's largest supplier of clinical diagnostics products. The company is also a frontrunner for in vitro diagnostics and tissue-based cancer diagnostics, personalized health care, and diabetes management. Roche continues to expand geographically with special emphasis on the top seven emerging countries: Brazil, Russia, India, China, South Korea, Mexico, and Turkey. Siemens Healthineers is one of the world's largest suppliers to the healthcare industry and a major player in medical imaging, laboratory diagnostics, and medical information technology. The diagnostics division includes products for clinical chemistry, drug testing, hematology, coagulation, immunoassay, infectious diseases, microbiology, molecular diagnostics, plasma proteins, point of care testing, blood gases/electrolytes, and urinalysis. In addition, Siemens operates a clinical laboratory and offers laboratory informatics and automation. Danaher Corporation is a diversified company that serves the clinical laboratory, acute care, and pathology diagnostics markets. As a multibillion global conglomerate, Danaher generates a large proportion of its sales in North America, Europe, and Asia/Australia. The diagnostic companies of Danaher Corporation include Beckman Coulter, Cepheid, Leica Biosystems, Radiometer, and SCIEX Diagnostics. Bio-Rad Laboratories, Inc. markets a broad range of products for the life science research and clinical diagnostic markets in the E.U., U.S. and the Americas, and Asia Pacific. Bio-Rad’s growth comes from its strength in multi-niche markets including infectious disease immunoassays, diabetes hemoglobin A1c, autoimmune immunoassays, neonatal screening, allergy testing, blood typing, microbiology media and pathogen identification tests, and quality control products. Illumina is a leading developer, manufacturer, and marketer of life-science tools and integrated systems for the analysis of genetic variation and biological function. Illumina is considered a top company when it comes to clinical applications of next generation sequencing, and it is planning to capitalize on its position in research circles to develop its own clinical business unit that will focus on services, the consumer market, CLIA certification and regulations, and business-to-business. Thermo Fisher Scientific Inc. is a major manufacturer and distributor of clinical diagnostics reagents, instruments, and supplies. The Thermo Fisher conglomerate serves healthcare, drug discovery, academia, government, and industrial laboratories. The company intends to migrate its offerings in human genome and sequencing products and systems in research settings to products for clinical labs. It has successfully expanded to China and India and plans to repeat the formula it used in other countries such as Korea, Taiwan, Brazil, and Russia. LabCorp, while not a pure IVD company, is a test service company that affects IVD markets as a driver of test volumes. LabCorp is the largest private laboratory, worldwide, and a pioneer in commercializing new diagnostic technologies. It was the first in its industry to offer genomic testing. LabCorp offers more than 4,000 tests ranging from routine blood analyses to reproductive genetics to companion diagnostics. The company continues to further its scientific expertise and clinical testing technology through its LabCorp Specialty Testing Group. Luminex Corporation develops and manufactures biological testing technologies in the clinical diagnostic and life science industries. Luminex is known for its open-architecture technologies including its xMAP technology that enables multiplexing of biological assays, reducing time, labor, and costs. The company has offices in the U.S., Canada, the Netherlands, and China. QIAGEN N.V. markets more than 500 products around the world, selling both consumable kits and automation systems to organizations within molecular diagnostics, applied testing, pharmaceuticals, biotechnology, and academia. Qiagen pioneered DNA and RNA extraction for molecular test sample preparation. For the past few years, Qiagen has transformed itself into a molecular diagnostics company with a number of acquisitions. Now, Qiagen’s clinical business is focusing on market and product expansion and is moving from a base in infectious diseases to cancer testing and personalized medicine. Quest Diagnostics, like its competitor LabCorp, is a test service company that drives IVD usage. Quest is a pioneer, innovator, and leading provider of diagnostic testing services through its network of laboratories and patient service centers, and provides interpretive consultation through its extensive medical and scientific staff. Quest’s diagnostic testing services range from routine tests such as cholesterol panels, Pap testing, and white blood cell counts to sophisticated cancer testing and gene-based and molecular testing. The company has also been a leader in the movement for consumer empowerment in healthcare and a strong advocate for providing patients with direct access to lab testing. Sysmex Corporation is an integrated manufacturer of laboratory software and diagnostic systems involved in the development, production, marketing, and servicing of clinical laboratory testing devices and reagents. Sysmex’s products are used by medical institutions in more than 170 countries, with a significant portion of sales concentrated in Europe, the Americas, Japan, and China. Considered “the Bible of the in vitro diagnostics industry,” Kalorama’s comprehensive report provides in vitro diagnostics market size estimates, market share analysis, revenue numbers, and coverage of key issues and trends. Click the button below to visit the report page and learn more. For more than 30 years, Kalorama Information has been a leading publisher of healthcare market research, covering in vitro diagnostics (IVD), imaging, biotechnology, medical devices, and pharmaceuticals. Kalorama's research is used by top industry decision makers and is frequently cited by leading news organizations. Kalorama only publishes in healthcare. Its research is written by industry experts who draw on both primary and secondary research as well as years of professional expertise in their respective industries.